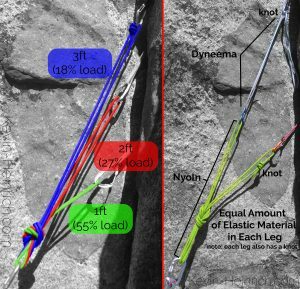 What is the best climbing anchor? Discussions among climbers in person and online quickly devolve into debates about acronyms, forces, knots, and ultimately, personal preference. We all build anchors based on our awareness of the situation we are in (the availability and strength of anchor points, direction of pull, probability of a high energy fall, etc) and our understanding of various anchor constructions and their considerations (ability to distribute load, amount of extension, redundancy, simplicity, etc). Our awareness and understanding evolve as we gain experience and allow us to make better choices on how to protect our team as we climb. This led me to think; why don’t I find the smartest, most experienced climber and simply do what they do? 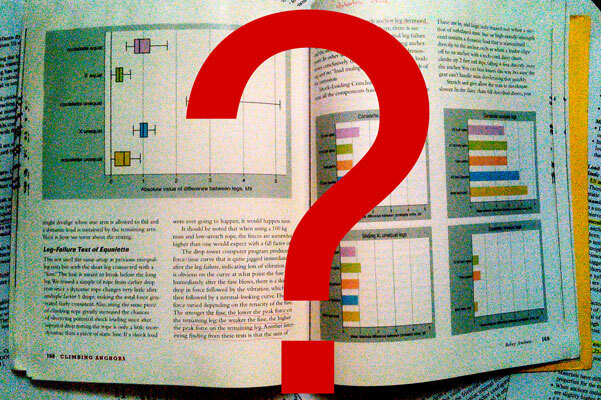 So I looked in highly regarded books, referenced anchor research, and read the opinions of experts in the fields of climbing and climbing physics. Surely all these smart people would eventually come to the same conclusion on best practices, right? Unfortunately not. Top resources will often give contradictory advice. One study will find a certain result and another seemingly reveals the opposite. Even if we somehow knew all the available information, our ability to apply it in the real world would be hampered by our imperfections as human beings and other factors encountered outside the lab. In the remainder of this post I will do my best to outline the specific qualities of various anchors, references to the studies that investigate these qualities, as well as references to studies or factors that contradict or downplay these qualities. The goal of this post to increase understanding of some anchoring concepts not as an attempt to explain all anchor constructions or considerations. Critical thought is required on the readers part to decide how to use this new information. This post is not for people new to anchor building; it will not discuss acronyms or attempt to give any instruction. Warning: This post is not exhaustive; it is missing anchor types and considerations. I highly suggest reading the individual reference material and forming your own understanding. Furthermore, I am just a guy on the internet; don’t listen to me – USE YOUR BRAIN! 1. Rule #1: What we can agree on. This is as close to a flashcard answer as you are going to get. Read this! A list of some of the terms we use in this post and why we use them that way. AKA Why Equalization is a Myth. These factors are at play with all anchors, we discuss them here to avoid repeating ourselves when looking at individual anchors. An overall look at the research and considerations of these anchors and the following variations. An overall look at the research for these anchors and the following sub-types. The answer you’ve been waiting for (but wont get). Check these resources out! They are full of tons of interesting tidbits that didn’t make it into this post. Rule #1: Use bomber anchor points*. No amount of rigging trickery can make a weak placement stronger. Without a solid and secure point (preferably more than one) in your anchor your best bet is to bail**. If your anchor points are bomber in the direction they will see load it nearly doesn’t matter how you connect them but certain methods will deliver advantages in some situations. 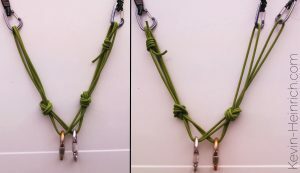 *If you do not know how to place and asses bomber anchors, get professional instruction and practice. **You may be able to keep climbing, down climb, back clean, etcetera in order to build a suitable anchor. Do not get tunnel vision on what’s directly in front of you. A collection of multiple Anchor Points. A singular piece of protection (bolt, nut, cam, tree). The part of the anchor connecting the Masterpoint to each individual Anchor Point. Also called Anchor Arm. The direction from which the maximum anticipated load will come from. Anchors should be built with this in mind. How well the anchor spreads force to the individual Anchor Points. Also called Equalization. The prefix “equal” is misapplied here as it suggests that Anchor Legs will see equal force which is NEVER the case. The connection point of the Anchor that optimizes strength, redundancy, and load distribution. Also called Focal Point. 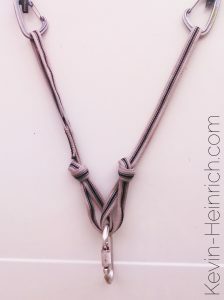 An Anchor whose Master Point is tied with a non-sliding knot. Such as a cordellete anchor tied with a figure eight on a bight; or a double length sling tied with a overhand on a bight. Also called Series Anchors, Sequential Anchors, Load Sharing, Non-Extending, Pigtail, and Pre-Equalized. An Anchor whose Master Point can slide and adjust. Such as a Sliding X, Equallette, or Quad. Also called Load Distributing, Self Tensioning, Dynamic Equalization, and Self-Equalizing. Below are some of factors at play with all anchors and will affect their ability to share or distribute force between individual anchor points. It should become apparent that equalization among the anchor points (meaning equal force on each leg) is practically impossible. 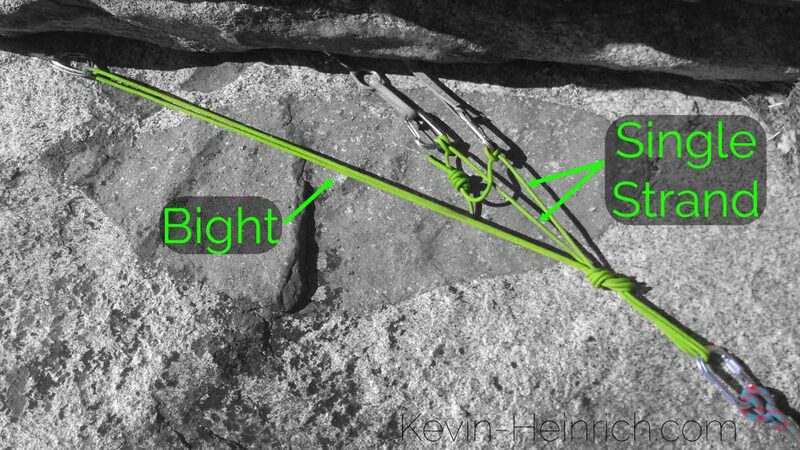 One anchor may need to handle many directions of pull between belaying the follower and the next leader; especially on traversing routes. 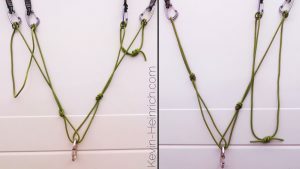 Typically the direction of pull can be determined by looking at the first piece of gear the rope runs through when leaving the belay device. If there is no gear in the pitch the direction of pull will describe an arc as the climber falls into line below the anchor. In high energy leader falls the belayer may be pulled upward against the anchor, this should be considered. 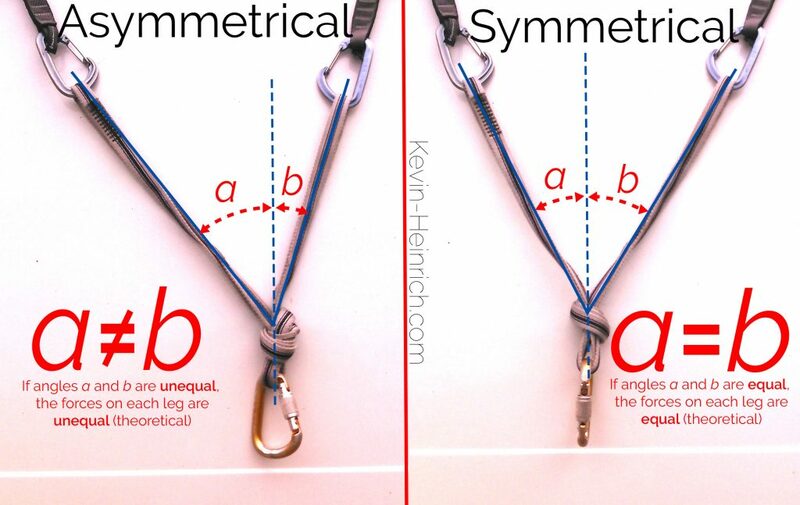 When the Direction of Pull changes the geometry of the anchor will also change and slack will be introduced in anchor legs of stationary anchors AND sliding anchors with more than two points (see photo). Slack anchor legs are not distributed load. Shorter legs in the anchor are loaded more than longer ones (see photo for a theoretical example). This is due to the available elongation. A longer leg can stretch more easily and therefore skews load onto the shorter leg. This affect can be diminished by using a more static material such as Spectra/Dyneema, however anchoring with dynamic materials such as Nylon is recommended for improved force absorption., Static material can be used to reduce the amount of elastic material used in a long leg (see photo). 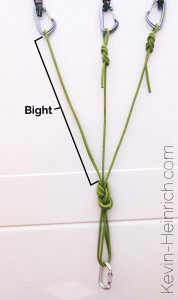 If they are the same length, a leg with two strands of material (a bight) will stretch less and therefore take more load than a leg with a single strand. This can be utilized to distribute more force onto a stronger piece or to decrease the elasticity of a particularly long leg to improve load distribution (see photo). A knot in the leg will compress and lengthen as it gets loaded making it more elastic and thus it diverts more load onto less elastic legs. 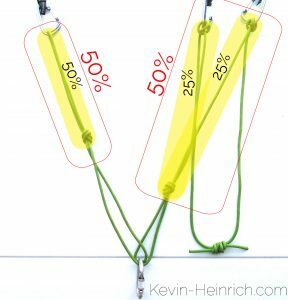 A un-tightened knot can be considered as slack in the anchor and has a significant effect on load distribution (more so than leg length). If the load is not applied directly between the anchor points (i.e. the anchor is not symmetrical) it will put more force on the leg with the smallest angle relative to the load. 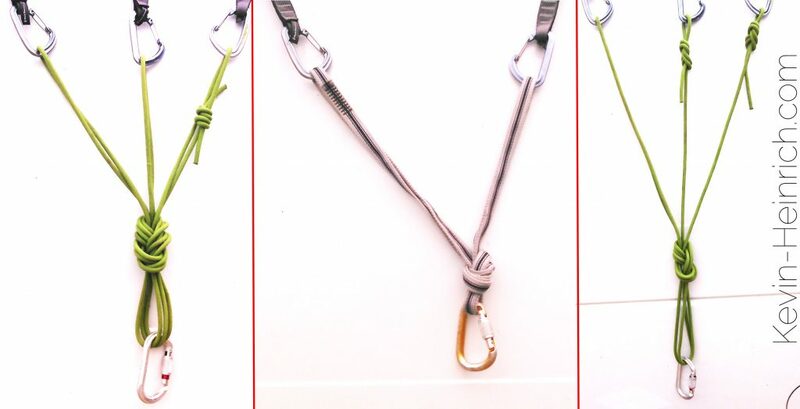 Sliding anchors rely on the masterpoint carabiners sliding freely to adjust to subtle changes in direction of pull; therefore friction makes these anchors less effective at distributing load. 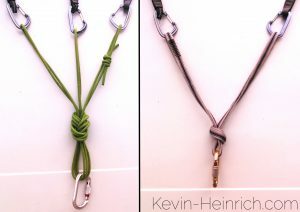 Anchors made with cord produce less friction than those made with webbing and thus distribute load better. Further, sliding anchors using an “X” (Sliding X, Equalette) create more friction and distribute less than those that do not (Quad). Can still extend when load causes point failure from un-anticipated direction of pull. Static loading results are less applicable to the real world than dynamic load results. Sliding anchors performed better in dynamic events. Perfect direction of pull may be unrealistic in the field. Studies showing good load distribution had ideal lab conditions but where still non-equal. 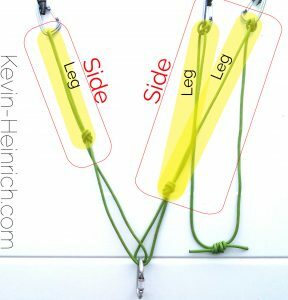 Equal leg length is also unlikely in the field, however utilizing static materials (dyneema slings) to extend long legs may allow for more equal amount of dynamic material in legs of differing lengths. Direction of pull must be consistent and anchor must be ideally tied for this direction for load distribution to occur. Less variability in distribution behavior than stationary anchors. Has the potential to distribute load to anchor sides through a range of directions of pull. Despite frequent use of the term equal for these anchors, they are susceptible to all the factors affecting load distribution in stationary anchors, as well as the additional factor of masterpoint friction, and therefore do not distribute load equally or intuitively in the real world. Load will not be dynamically distributed between anchor points on the same anchor side. Anchor sides are effectively stationary anchors and legs will become slack/unloaded through a range of direction of pulls. Doesn’t rely on practitioner’s ability to asses direction of pull. 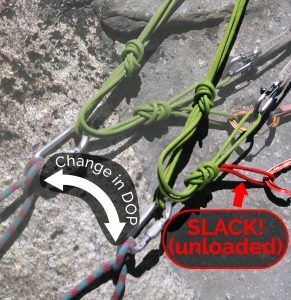 Extension can be limited with the use of knots, however knots also reduce the range of directions of pull. Where does all this information leave us? What anchor style is best to use? Of course you already know the answer: it depends. I’ll leave the reader to draw their own conclusions on the research above rather than share my opinion (which is really tempting!). Making judgement calls based on the situation ahead of us is part of what makes climbing so challenging, rewarding, and adventurous. I hope you learned something from this post and feel compelled to share it with your partners! The more climbers out there that think critically and challenge their own assumptions the safer we all will be! Oh, and don’t forget Rule #1: Place bomber gear. You definitely have a talent for research. I could rarely be arsed coming up with this much solid data, hence why everything I write is basically nonsense. Good article, I learned a lot. Thanks man. I started writing this over a year ago which is more a reflection of procrastination than quality. Spew enough nonsense and you may find yourself ruling a nation! Yeah you mentioned this one in EPC. And spewing nonsense/nation ruling has certainly workes out for your current presidential overlord. I can probably learn something from his lack of “proofreading”/perfectionism/giving f*cks. So you’re the sucker that writes the user manual after the engineers have done the fun stuff? Seriously, that is an awesome piece of work you’ve done there pulling all that together. Hahaha, thanks David. Glad you liked it! 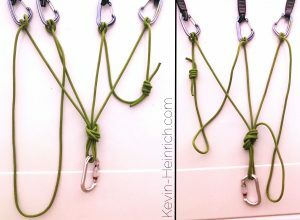 Previous Previous post: Belay Gloves: Rack ’em or Sack ’em?